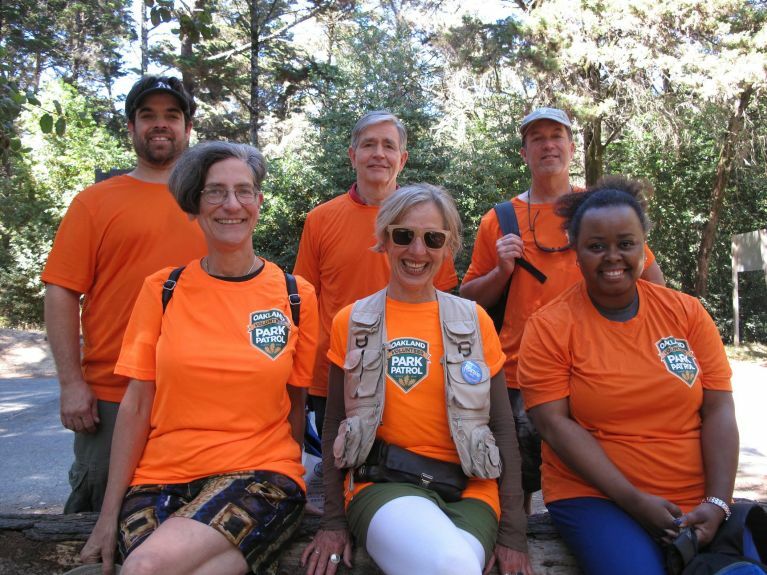 Our mission is to welcome and assist park users, and improve the quality and safety of Oakland’s wildland parks and trails. Welcome and assist park users; volunteers provide maps, information about trail conditions, and help park users understand park rules, regulations, and trail etiquette. Report issues on trails or at other park facilities, and lead volunteer maintenance projects including clearing fallen trees, improving drainage, and tread repair. Report medical, fire, or other emergencies to the appropriate dispatch unit; Park Patrol may be contacted to assist in search and rescue functions as directed by officials. Commit to at least 4 hours per month; volunteers are asked to log their hours. Lead by example; unless directed otherwise by emergency personnel for a specific incident, Park Patrol volunteers must obey all park rules and regulations for their chosen activity. Park Patrol operates in the following City of Oakland parks: Dimond Park, Dimond Canyon, Joaquin Miller Park, and Leona Heights Park. Park Patrol volunteers must attend one three-hour class. Participants are given special training for assisting park users, supporting emergency responders, and reporting park issues to the proper City of Oakland agencies. CPR and First Aid Certification is strongly encouraged, and may be provided by the Oakland Fire Department (separate from the three-hour training session). Currently, there are no training sessions scheduled. To receive an announcement for any upcoming classes, sign up for the Park Patrol newsletter below. 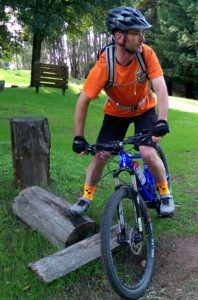 Oakland Trails is providing 100% of the funding for this program. The yearly budget for Park Patrol is $5,000, which includes uniforms, first aid kits, tools, and materials for the work we do. Tax deductible contributions, large or small, are greatly appreciated. Oakland Trails may use personal information to administer and operate Oakland Volunteer Park Patrol. For our privacy statement, click HERE. 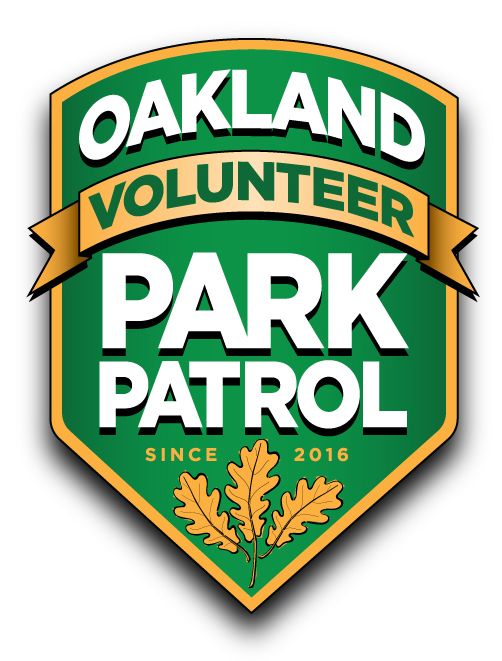 Oakland Volunteer Park Patrol was co-founded in 2015 by Stan Dodson (Oakland Trails) and Oakland Vice Mayor and District 4 Councilmember Annie Campbell Washington. It was developed in collaboration with the Oakland Fire Dept., Oakland Police Dept., Oakland Parks & Rec., Oakland Public Works, Friends of Joaquin Miller Park, 22X NCPC, Piedmont Pines Neighborhood Assoc., and the Bicycle Trails Council of the East Bay. 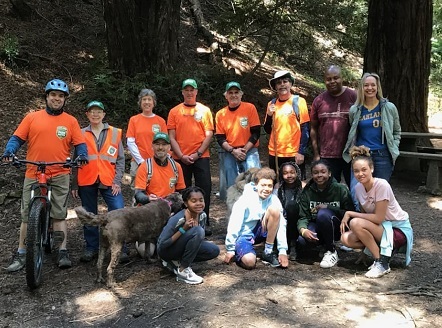 Stan Dodson, founder and executive director of Oakland Trails, provides the training and day-to-day management for this program. Park Patrol volunteers offer free hiking and mountain biking tours throughout the year. Visit our Trail Tours page to learn more. OaklandTrails.org is sponsored by the Oakland Parks & Recreation Foundation, a 501c3 nonprofit corporation. Donations are tax deductible. Subscribe to receive announcements for upcoming Park Patrol training sessions.